Madison Week In Music + Ticket Giveaways (9.19.12 – 9.25.12): Matthew Sweet, Melvins Lite, Empires, Mutemath, Conor Oberst, Peter Mulvey, Justin Jones, and 10 Years | True Endeavors Presents: music, tours, tickets, mp3 downloads, concert pictures, videos, Madison WI. Happy Monday, music lovers! Another week full of shows is upon us and, as usual, we’re giving away tickets to every single one of ’em. Read on to get all the details about upcoming concerts from Matthew Sweet, Melvins Lite, Empires (pictured), Mutemath, Conor Oberst, Peter Mulvey, Justin Jones, 10 Years, and enter to win a spot on our guest list. Win A Pair Of Tickets: Give us a list of at least three songs that you’d put on a mixtape for a girlfriend (or boyfriend) in the comments below. Win A Pair Of Tickets: The band’s Buzz Osborne has some of the most iconic hair in music history. What other artists out there would get your vote for having the Best Hair In Music award? 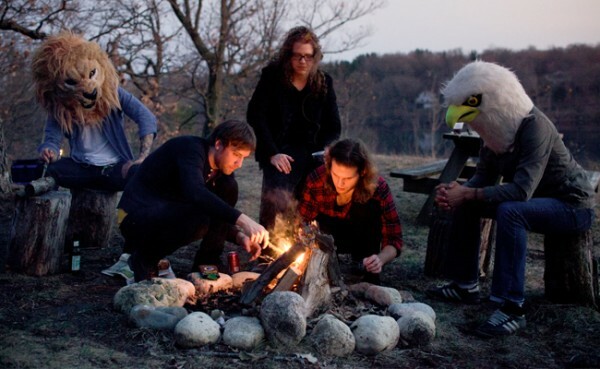 Win A Pair Of Tickets: The band’s most recent release is titled Garage Hymns. If music were a religion (and to many, it is! ), what songs would you worship with? Post your ideas below for a chance to win a pair of tickets. Win A Pair Of Tickets: Mutemath has had their songs used in a variety of films over the years. What is your all time favorite musical moment in a movie? Tell us about it in the comments section below. Win A Pair Of Tickets: We have a Conor Oberst Prize Pack giveaway going on through our Facebook Page right now until 9/18. Click here to enter! Win A Pair Of Tickets: Peter’s fan adore his highly intelligent, witty, and poetic lyrics. Post a comment below with your favorite line(s) of his for a chance to win tickets to his upcoming show! Win A Pair Of Tickets: Justin’s shows at the RSR will welcome local fans back into the venue formerly known as The Annex. We are curious what your favorite concert venues are. Tell us where you love seeing shows (in any city) in the comments section below to be entered to win tickets to see Justin live. Win A Pair Of Tickets: With the band’s name in mind, tell us who gets your vote for best band of the last decade in the comments section below. Winners will be chosen and notified shortly after 8pm on Tuesday, September 18, 2012. Good luck! Favorite lyrics from Peter Mulvey — “…And she must have missed that road sign that said, ‘From now on, nothing in your life will be clear.’…It’s just your Tender Blindspot/ It’s not the ruination of your soul/ …From that Tender Blindspot you must grow…Time in its grace and pain and love…” Don’t get me started, I love Peter Mulvey! ZZ TOP has the best hair in music! George Clinton has the best hair in music. best hair in music- Bob Geldof-yeah definitley…. Music is so important in a movie and sets the theme and how you forever remember those moment. For me, the Harry Potter music soundtrack meshed perfectly with the movie and my favorite musical moment was when Harry rode a broom for the 1st time. who won the Matthew Sweet tickets? My favorite musical scene has to be the dance scene in Pulp Fiction with John Travolta and Maria de Medeiros. A close second is the Ferris Bueller float. Winners have been notified. Thanks all!